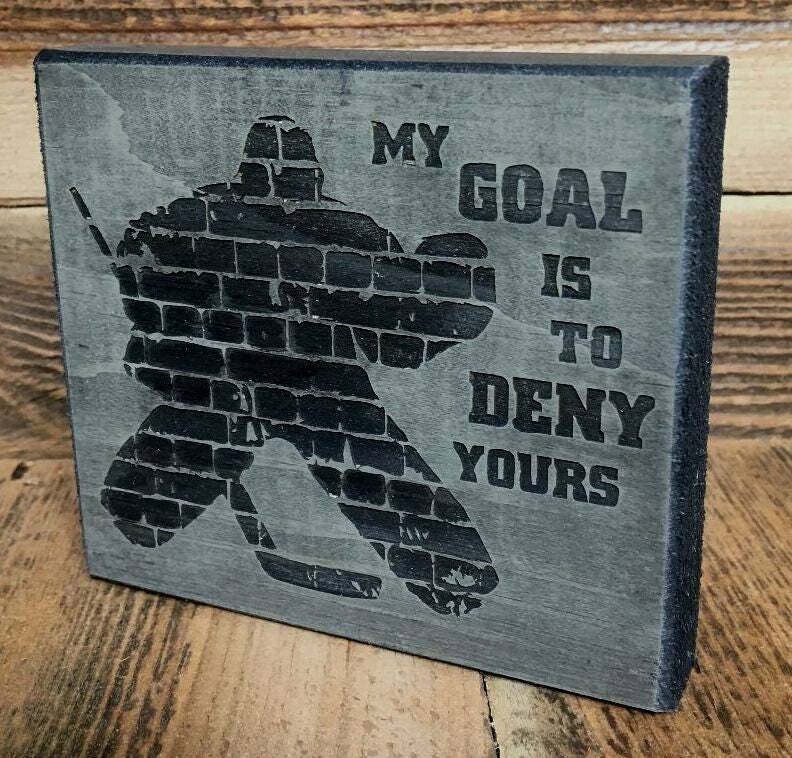 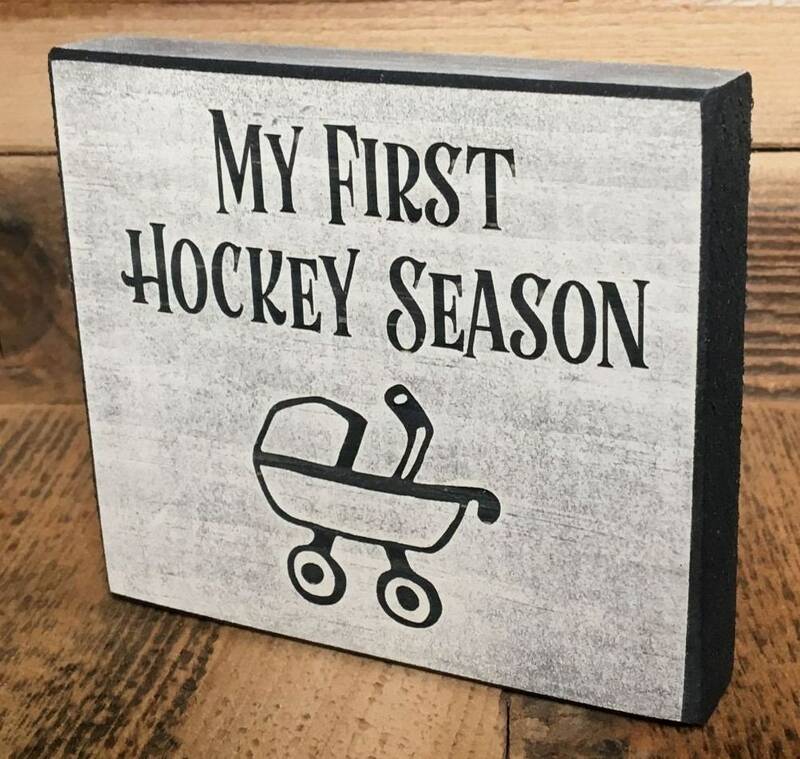 Perfect for the hockey nursery and makes a very unique hockey baby gift. 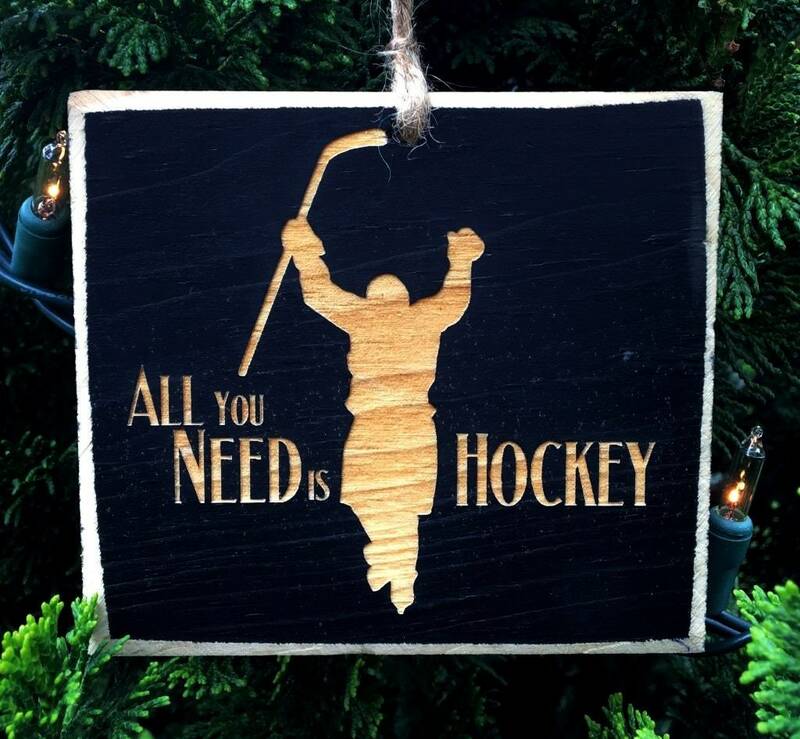 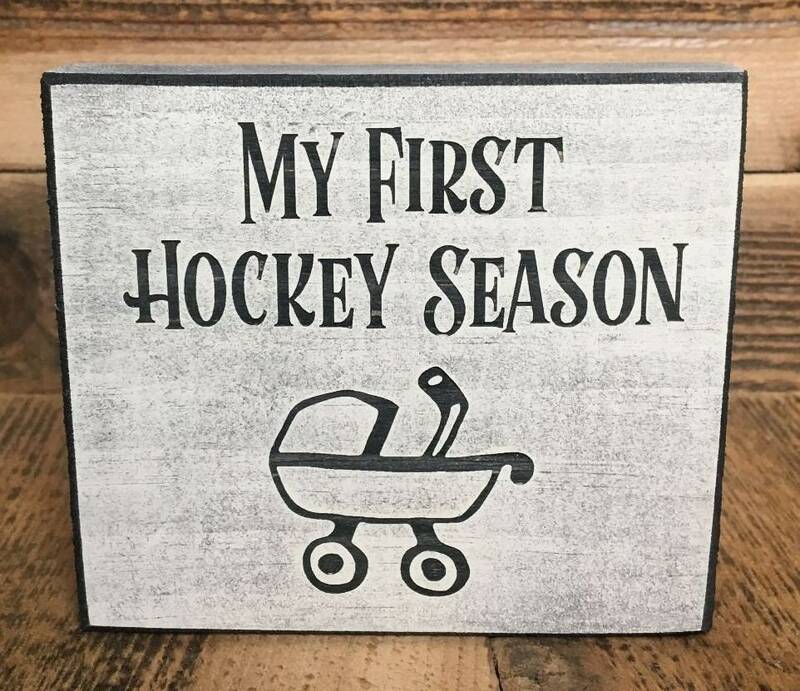 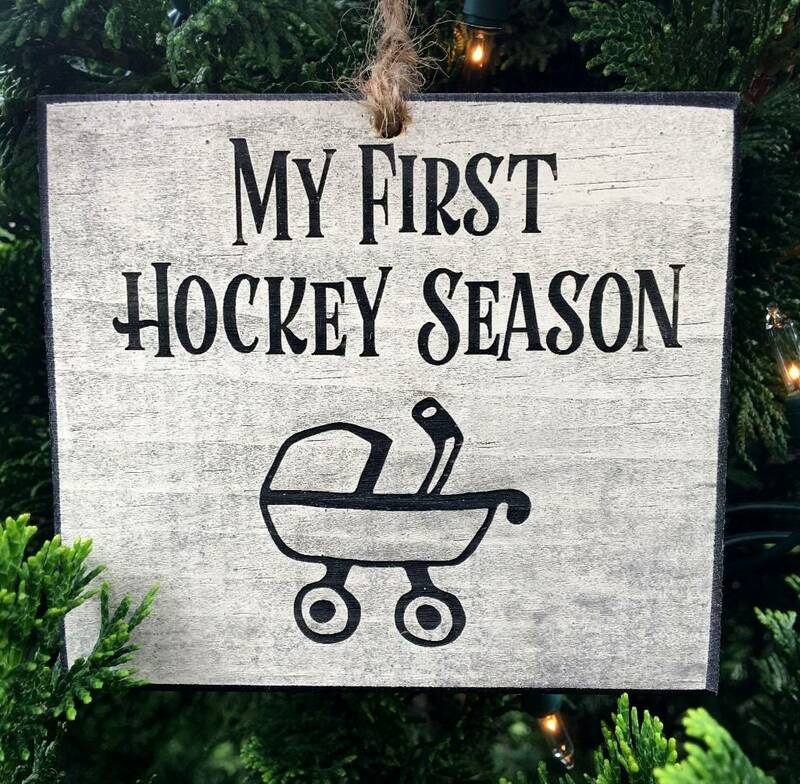 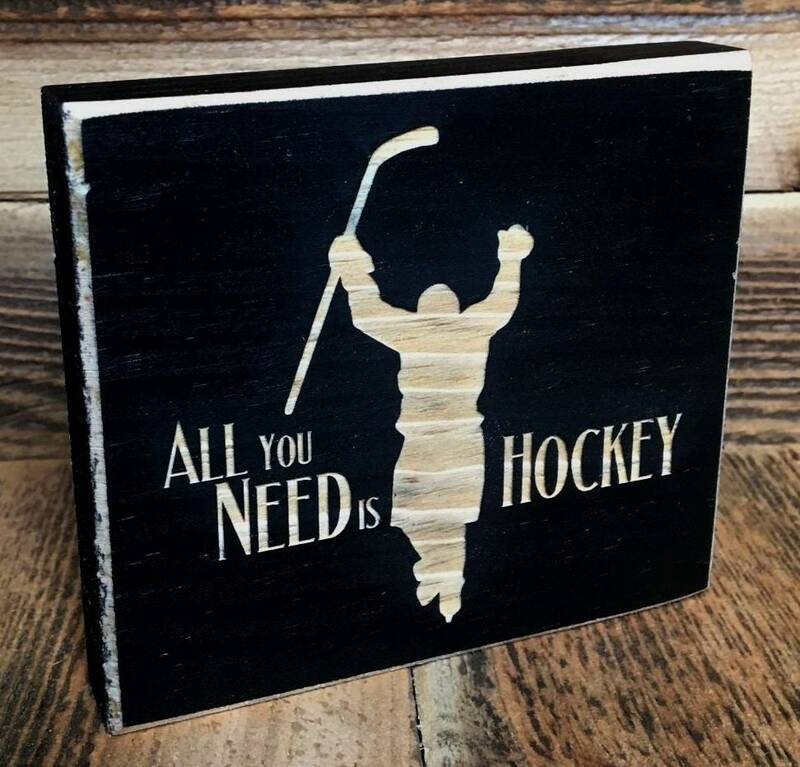 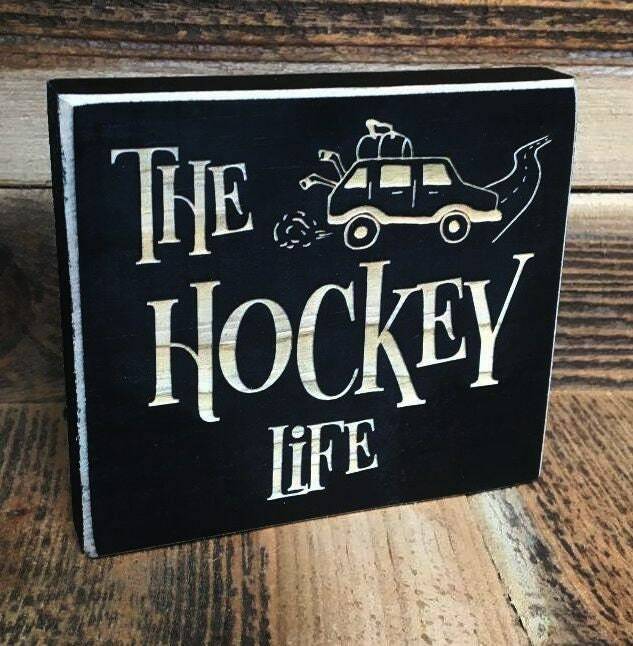 You have found the coolest hockey baby gift! 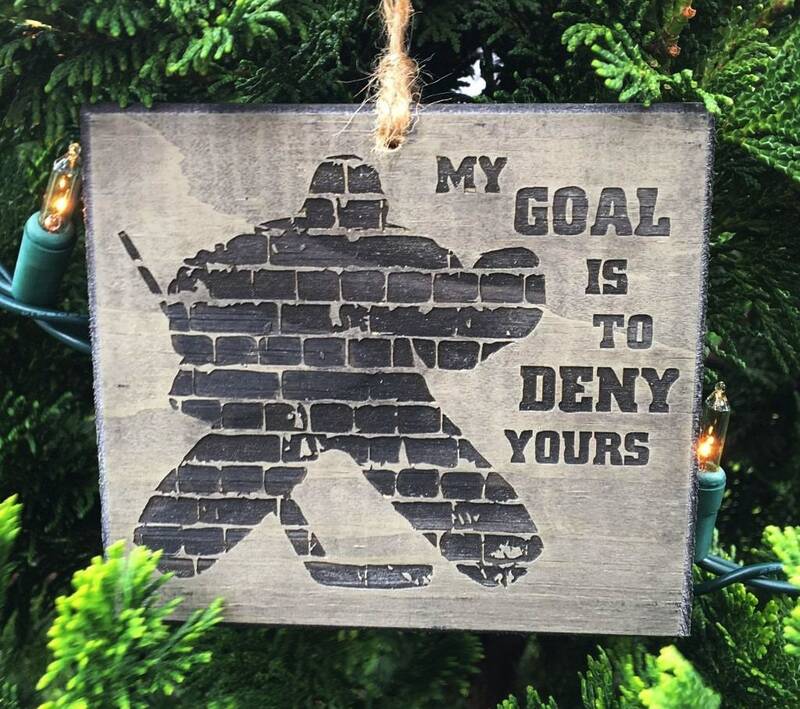 This is also available with rope as an ornament to hang on a tree or just about anywhere. 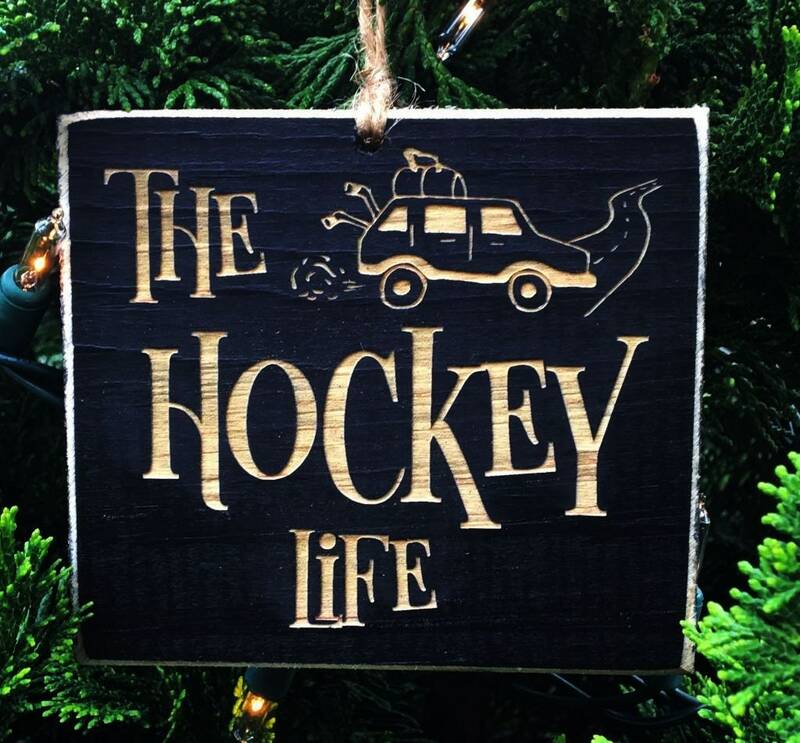 Wood Sign - lasercut, painted white and stained black to give it a beautiful distressed look.